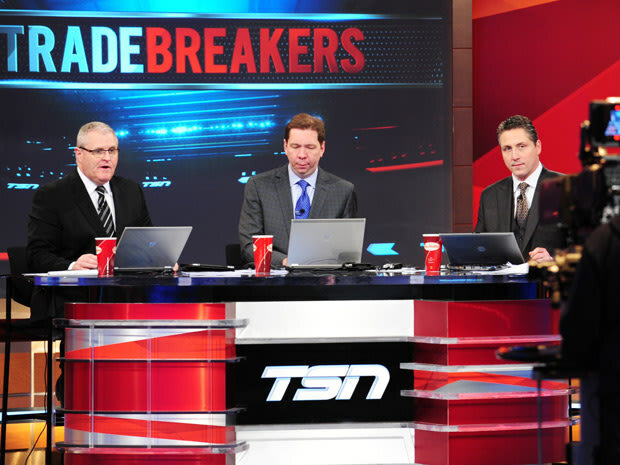 It is the NHL’s trade deadline today, an event that not only sees players moved from city to city and team to team but that has also become a major television (and new media) spectacle on Canadian sports networks like TSN and Sportsnet. Hockey in Society writers have written about a number of relevant posts about this event and two of these are highlighted after the jump. The most exciting and riveting aspects of the trade deadline, the shrewd negotiations and split second decisions that can literally change the face of the franchise, never make it on air. Instead we are subject to nine hours of “reaction and analysis,” as well as player interviews from those who have been traded and those who are staying put. TSN has clearly developed a successful formula that apparently captivates a healthy viewing audience, yet what we are consuming is so far removed from the actual events that are the impetus for the coverage. To borrow from the postmodern theorist Jean Baudrillard (1995), The Trade Deadline Does Not Exist. Yes, it is a real stipulation in the league’s current collective bargaining agreement, and yes, real players change teams and have to relocate to new cities; but our understandings of what constitutes the trade deadline are firmly entrenched in a state of hyperreality where we consume endless amounts of commentary about a series of events that only exist in our imaginations and are not even being simulated by the mass media (also see Umberto Eco’s Travels in Hyperreality (1990) for an insightful essay on the endless proliferation of “sports chatter”). TSN trade deadline coverage is presently in full swing, and rival networks Sportsnet and The Score are no doubt producing similar spectacles. The annual Trade Deadline spectacle continues apace.